Roger Federer put on a show in the US Open third round on Saturday that his opponent Nick Kyrgios admits he almost enjoyed witnessing the Swiss magician pull off impossible shots against him. The No. 2 seed, seeking a first US Open crown since 2008, shrugged off four break points in a tight first set before storming to a 6-4, 6-1, 7-5 victory over Kyrgios. A stunning around-the-netpost shot in the middle of the third set was the highlight from Federer on Arthur Ashe stadium on Saturday, and it left Kyrgios in absolute awe. “I was trying to tell him that the shot wasn’t that good (smiling). No, it was almost unreal. Almost got to the point where I wanted him to start making shots like that, and I finally got it. I was pretty happy with myself,” said Kyrgios. Kyrgios was arguably the better player in the opening set but losing it made things tougher for the 23-year-old to keep up his level, and Federer was clutch when he needed to be. The No. 30 seed rushed the net 30 times but was only successful on 14 occasions as Federer cleanly executed one passing shot after the other. Federer out-aced Kyrgios, slamming 16 to the Aussie’s 13 and hit 51 winners in total against just 24 unforced errors. Kyrgios was overheard saying “I need to hire a coach” during the match, but during his press conference he denied saying that. He has been coach-less for years and was asked if he thinks hiring one would help his career overall. “Maybe. I think more of my tennis is more to do with the mental side of things rather than technique or, you know, tactics or anything like that. You know, we’ll see. Maybe,” he said. “I get told a lot, ‘What do you want from your career?’ I wouldn’t say I’m satisfied with my career. I think there is a lot more to be done and there is a lot more to be, I mean, explored. “In my career, I don’t think I have — I have been around for about four years now. I have barely done anything. I think I can do a lot more. As I said, it’s all mental with me, I think. If I want it enough, you know, I have a coaching option, psychology option. Meanwhile, Federer was pleased with how focused he remained throughout the match but he did notice when Kyrgios started imitating his service motion — something the Canberra-native tends to do from time to time. “Well, doesn’t matter if it’s a Grand Slam match or a first round of any other 250 tournament or any place. We have all imitated serves. Sure, it’s unusual to happen against you with your own serve,” said Federer. “Yes, of course, I knew right away when he imitates my serve, and I have seen him doing it several times over the last few months. Also that he’s been using my serve sometimes to great effect, which I’m very happy to see. It’s a technique that worked (laughs). No, I’m joking. The 20-time Grand Slam champion takes on another Australian in round four, John Millman, who defeated Mikhail Kukushkin in four sets on Saturday. 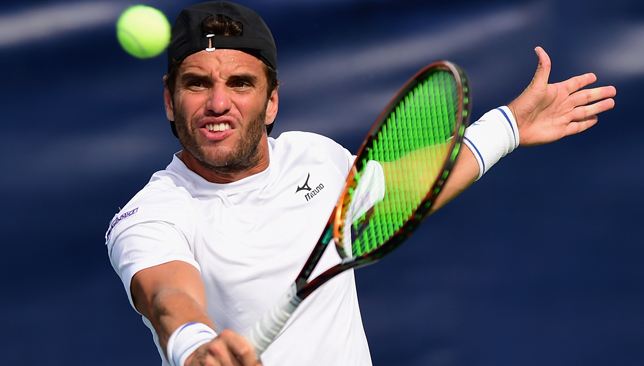 Malek Jaziri made an honest and revealing confession after his opening round defeat to Pablo Carreno Busta earlier this week at the US Open. After a career-best three-month stretch earlier this season that saw Jaziri get his first two top-10 wins over Grigor Dimitrov and Marin Cilic, reach the Dubai semi-finals and his maiden ATP final in Istanbul, win a Challenge in China and make the French Open second round, the Tunisian has admittedly struggled. He has won just three of the 13 matches he has contested post-clay season and concedes that mentally things have been rough. “I’m really playing very well in practice, but I’m not feeling very comfortable during matches,” the world No. 69 told Sport360. “When you lose a few matches it’s not that easy. The hand is a little bit tight, the serve, when you need the point, it doesn’t come. Physically I think I’m okay, it’s a little bit in the mind and I have to work on that. The top-ranked Arab added: “This is a really tough sport, to be consistent and to be motivated every day. That’s why I have a lot of respect for players like Rafa [Nadal], all these guys. It’s not easy at all, when you go on court and fight every day like that and your motivation is always high and you want more and more and more, it’s not easy at all. Jaziri is open to working with a mental coach because he knows it’s the only way forward. 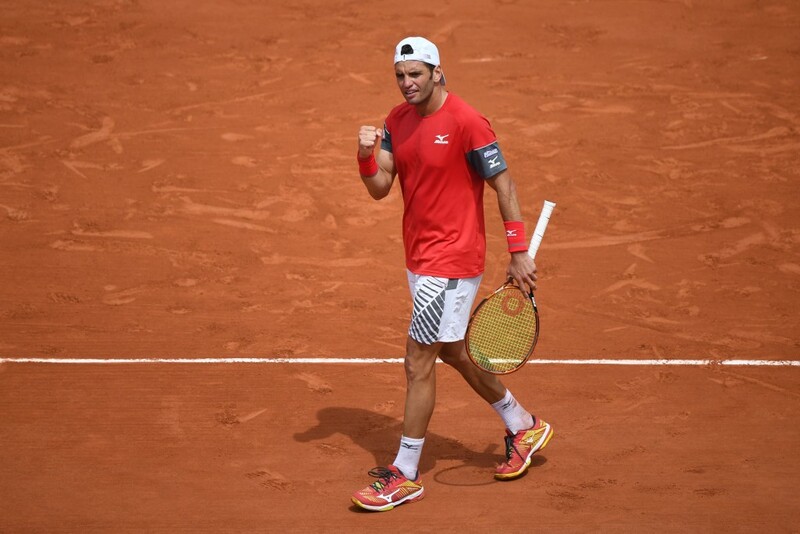 He has had a few positive days since his loss to Carreno Busta, winning two matches alongside Radu Albot in the US Open doubles draw, including a huge upset over sixth-seeded pair Jean Julien-Rojer and Horia Tecau. They face the Harrison brothers next. Still, Jaziri knows he has much to think about. He believes he needs to be more meticulous with his schedule moving forward, as he tries to analyse why he managed to do well at the start of the season and why he’s unable to find that form now. “I was fresh physically, fresh mentally. I got tired after the clay season. I put myself in this situation as well, played s-Hertogenbosch, maybe I made a mistake with my planning,” he says. “Maybe I shouldn’t have played a tournament right away. I should’ve rested so I can come back with more motivation. I have to think about my schedule more carefully because if I want to be more for the next few years, managing my schedule will be key. The good thing is that Jaziri knows he is capable of stepping up. He rose to 47 in the world a year and a half ago and as a late bloomer, he is aware he can always improve, even at 34. “It’s not like I’m not strong mentally or something, I’ve shown it in the past that I can beat good players, but consistently, mentally, how to find the motivation in every match, how to find the motivation to work more, to exceed yourself. And staying at it when it’s not coming. That’s not easy,” he explains. The ever-smiling Jaziri has a plan though. “Keep working, keep playing, keep enjoying. Keep working on the things you have to work on, specifically,” he says. When Nick Kyrgios was asked to list his greatest strengths, the young Australian took the sarcastic route. “My unbelievable movement, my returns, and my mental strength,” Kyrgios told reporters at the US Open on Thursday, listing what he knows are his main weaknesses. A lingering hip injury has troubled Kyrgios all season. To compensate for the bad hip, both his knees have started to hurt, and he says he’s been getting cortisone shots every two days to be able to compete. While his serve is the most devastating part of his game, he’s only been winning 32 per cent of his return points against the first serve, 51 per cent on the second. As for his mental strength, his struggles in that department have been well-documented, with the most recent incident taking place on Thursday during his second round against Pierre-Hugues Herbert, where Kyrgios didn’t show up until umpire Mohamed Lahyani got out of his chair and gave him a pep talk, encouraging him to play and avoid tanking. From a set and 0-3 down, Kyrgios rallied and won in four. But the first set and a half were the perfect example of how tough it can be for him sometimes to be present in his matches. 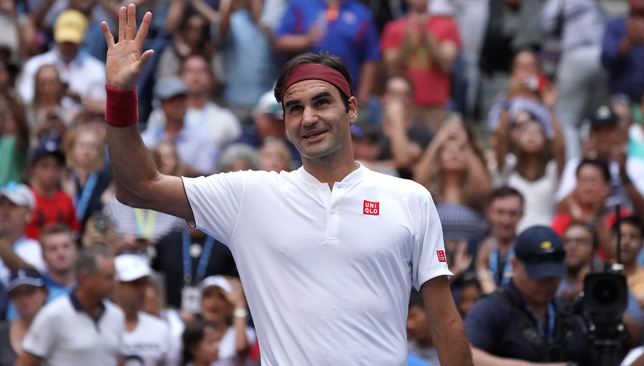 One opponent who always manages to bring the best out in Kyrgios is Roger Federer, and lucky for the US Open crowd, the pair will square off in a mouth-watering third round on Arthur Ashe Stadium on Saturday. They’ve played each other three times, with eight of the nine sets contested going to a tiebreak. All three encounters finished 7-6 in the third. Saturday will be their first showdown in a best-of-five format, which Kyrgios admits will pose a different kind of challenge. “We have never played before best-of-five. Yeah, for sure, to win three sets off Federer, you have to play some pretty consistent tennis. But he’s never played me best of five, either,” noted Kyrgios. 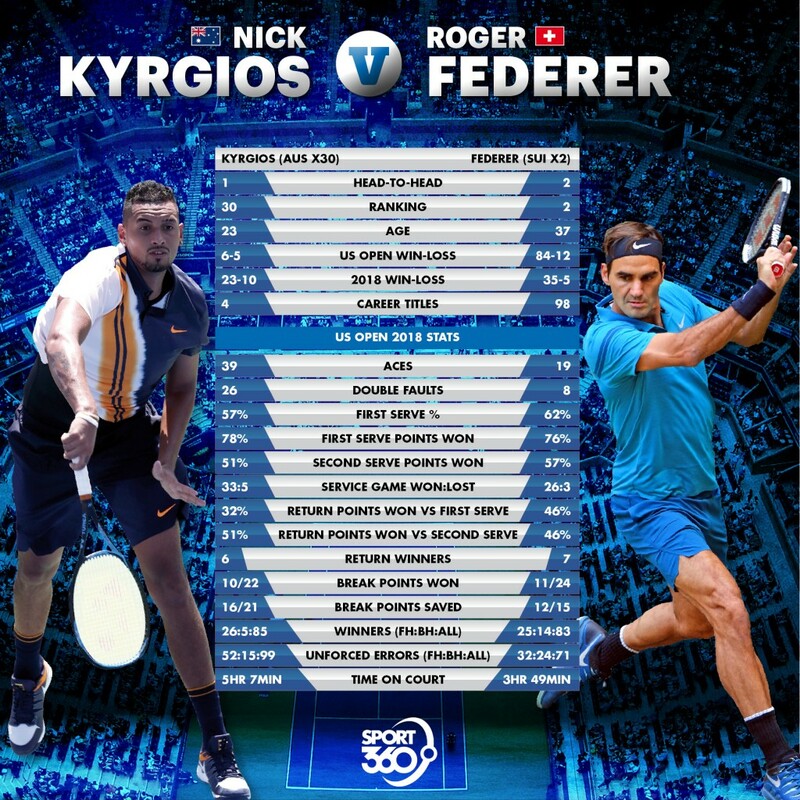 Kyrgios is one of just two players – alongside his compatriot Lleyton Hewitt – to defeat Federer, Rafael Nadal and Novak Djokovic in their first tour-level match-ups. He admits that being the underdog in these clashes helps, but it’s also evident that they are matches where he tends to try his hardest. Kyrgios has spent time with Federer off the court promoting the Swiss’ Laver Cup competition. The 23-year-old says Federer’s chip return is his greatest asset and the best that ever existed in the game. “I think if you took that shot away, he wouldn’t be as good because he neutralises big serves as well. He turns it into pretty much instant offense,” explains Kyrgios. Federer is well aware of Kyrgios’ exceptional talent and was recently asked by John McEnroe if he felt he was the right person to take the young Aussie aside and “talk some sense into him”. “That’s what John thought. I think a player can always ask any other player for advice, then it’s the other player’s choice to give advice or not,” said Federer. “It doesn’t necessarily have to be an older guy or anything. It could be just I’m playing Nick tomorrow, I can ask Robin Haase, ‘What do you think about how Nick plays?’ Yesterday I practiced with somebody who asked me, ‘What do you think about my game?’ I give advice. Federer is searching for his first US Open crown since 2008, and sixth overall while Kyrgios has never made it past the third round in New York. The second-seeded Swiss is 2-1 head-to-head against Kyrgios and has been in fine form so far this tournament. He hit a whopping 56 winners in his first round against Yoshihito Nishioka and has spent less than four hours on court through his opening two matches.